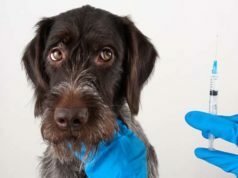 It's a big deal when you decide to spay or neuter your dog, therefore, a lot of new pet owners have many questions whether it's a necessary procedure and if it's worth it. What would be the advantages and disadvantages of spaying or neutering dogs? When is the best time to take your canine through this procedure? In this episode, I'm exploring this topic in-depth and will hopefully shed some light onto the matter. I will cover both the pros and cons of spaying and neutering, whether you should do this or not, and what your pet is most likely to go through should you choose to do the surgery. I'm also going to share with you my personal (and my dogs') experience of going through this, which hopefully gives you a better idea of what this is all about. It's an important subject, so if you're in that position right now or thinking of adopting a dog sometime soon, give it a listen and leave your own comments below so we can discuss this further. This week I want to talk with you guys about the pros and cons of spaying and neutering your pet, this is something that's come up as a topic for me recently in my personal life and it's such an important topic to talk about and discuss that I really wanted to reach out to you guys, share a little bit of my information, maybe get some feedback from you as well. Spaying and neutering is something that in the veterinary field along with pet owners it's something that's very widely …there's a big discrepancy there, some people are all for spaying and neutering, veterinarians and pet owners included, some are for earlier… the earlier the better, some are for later on in the animal's life. Some people are completely against it and they think that it should not be something that's done on a normal …you know regular basis unless there is some kind of an emergency that it needs to be done. So there's a lot of discrepancy in the field both professionally and with pet owners. So I just wanted to discuss it today, tell you some of the pros and cons. I am one of those people that feels like pets should be spayed or neutered and my biggest reason for thinking that and the number one reason on my list for pros is the overpopulation of pets right now, and I guess I say spaying and neutering your dog but I should be saying spaying and neutering your pets, it's really an overpopulation of pets, everything from dogs and cats to smaller pets like rabbits and other animals. So really spaying and neutering is extremely important, and anybody can go to their local shelter or rescue organization and find some truth to this. There are a massive number of homeless animals in the world, it's not even just in our country but it's everywhere, and one of the only way is that we can prevent this is to spay and neuter any animal that's not going to be bred. While we're talking about that topic you know a lot of people will say that they aren't doing it, they're not sure if they want to breed their dog or they might want to some day. Breeding is something that you should not go into lightly, it's not something that you should just say “Oh you know we have this beautiful Labrador Retriever and she's wonderfully… aesthetically she's great, she's very healthy, she comes from a great line of healthy dogs and maybe in the future we might want to breed her.” It's something that takes a lot of time, a lot of thought, a lot of planning, there's a lot of costs involved to you, I know some people think about breeding animals or it's a little bit of like a side business and they can make some money doing it. There's a lot of costs involved, there's a lot of time involved, so when you're thinking about how much you're going to make selling these puppies or selling these kittens you also have to think about your time that's going to be spent. And a lot of times for most people it factors out to be something that it's just not worth the cost to make money off the dogs. But certainly if you are thinking about breeding, it's a topic for another day, it's something that definitely you need to research. I've talked about responsible breeding on a previous podcast; there's a ton of great information on the Internet about it. If it's something that you think you're interested in speak with a professional, talk to a professional breeder, talk to your veterinarian, discuss what actually goes into it before you make that choice to think about breeding your dog. And if you're like me you are a dog lover, I love dogs, I… two reasons that I don't breed dogs, one the time to put into it I just don't have. I don't have the time to care for puppies the way that a litter of puppies would be maybe six or eight dogs, sometimes more, sometimes less. Kittens are the same way, I don't have the time that it would take to care for those animals for eight weeks until they can go to their new home, so that's number one for me. Number two for me and the reason I don't breed is because I love animals. Raising animals for eight weeks, puppies or kittens, baby bunnies, whatever it might be, eight weeks later I'm going to be so attached to those animals that I am not going to want to re-home them. So those are the two big reasons that I personally know that I will never breed any animals that I have. So if you're like me and you know that you're not going to breed your dog, spaying and neutering there are a lot of pros, there are some cons too, but the number one reason that I would say to breed … to spay or neuter, you know you're not going to breed your animal, is to control the pet population. You might think that you can keep your dog in the yard, you're going to keep your dog with you if it's a female you know when she's in heat you're going to keep her away from other animals, or if it's a male you know you're always going to be around him and he's never going to have the chance to get another dog pregnant; or cats the same way you have an indoor cat so you don't think she's going to get pregnant or you don't think you're indoor male cat is going to be able to impregnate another cat. Accidents happen, pets get away and indoor cats get outside for an afternoon and they end up coming back, or your dog…your female dog who is in heat ends up leaving the yard. Animals act differently when they want to mate, so your dog who always stays in the yard religiously, never leaves, might go wandering, might have that desire to want to wander when they're looking for a mate, so it's not something that you can always control, and the only way to be sure one hundred percent that you're not going to be contributing to the overpopulation of pets is by spaying or neutering your dog. So that's reason number one for me. Reason number two, we have all female dogs and we have two female cats, we have four cats two of them are females. If you have a female animal and you spay her you do not have to deal with heat cycles, there's no more messy heat cycles. We actually we have a little beagle puppy who just went through her first heat cycle, she's actually… another reason I was thinking of the topic of spaying is she's going in next month to be spayed and we just went through her first heat cycle, we had to wear and keep diapers on her, she would chew the diapers off. We actually had to cut a tail hole in a pair of my son's underwear and slide it, we'd put a diaper on her and then put my son's little undies over her diaper and pull her tail out so that she wouldn't be able to chew the diaper off. It was really… it was weeks of misery. When she would get the diaper off then there's a mess in your house. I can't tell you how many times in the last few weeks that I have washed the sheets on our bed, because our dogs sleep on our bed, so we were washing bedding when she would get the diaper off in the middle of the night; we washed our upholstery more than once because they also get on our furniture; so it's something that …it's really a pain in the neck to spend a couple of weeks with a female in heat unless you do want to breed her. Of course if you want to breed her that's…again that's another whole issue but if you don't… if you're not going to breed your dog and she's a female, or your cat and she's a female and you don't want to deal those heat cycles, spaying takes care of that, which is huge. One of the things that most people are concerned about, and now I guess I would say it's the meat and potatoes of this podcast, is the health issues that surround spaying and neutering people, and that's where that discrepancy comes from. There's new research done all the time. Is it beneficial to spay or neuter health wise? At what age is the best age to spay and neuter? You know before one year old is pretty common, that's most of the time in the veterinarian field that's called an early spay and it's before a year old, a lot of vets will not spay or neuter an animal before six months old, but between six and a year …six months and a year is okay. Some vets would encourage you to wait a little bit longer than that. There's actually research that shows that one in four, when a dog is not spayed or neutered they call it intact, so for the rest of this podcast when you hear the word “intact,” that's what that means that the dog is not spayed or neutered. So there's research that shows that one in four intact females will actually develop an infection called Pyometra, and what that is is when the uterus swells up with some toxic like puss and the only thing that you can do to cure that is to have an emergency spay done. If the uterus ruptures before you are able to do that, like I said it's filled with that toxic puss and it can lead to death if not treated quickly, and it's very very dangerous, it's something that's very… it's a terrible process for the dog to go through. And then the emergency spay, they're going to have to be spayed anyway and they're going to have to go through that healing process. So that's something that a lot of vets will talk about spaying females. Again the age on that kind of varies but some vets will say like if your dog's spayed usually before they're like two or two and a half years old, they're less likely to develop mammary tumors. So some vets will say do it before two, some vets will say like I said that six months to a year gap, it really it depends on your vet, it depends on like I said, you want to be working with a veterinarian that you trust, somebody that's up to date with all the latest research. There are certain types of cancers that they say are…your dog is less likely to get if they are spayed or neutered and there are certain types of cancers that they are more likely to get when they're spayed or neutered. Typically what the research shows right now is that it's actually healthier for your dog to be spayed or neutered. There are more health issues that they are less likely to contract if they're spayed or neutered. So that's really the way that the research leads right now that spaying or neutering keeps your dog healthier, so that's certainly one of the top reasons for me to think about it. There has been research for male dogs, there's actually a study done at the Davis Veterinary School which is at the University of California that show… they did the study on male Golden Retrievers, it was a smaller study there, the group of dog there was less than 800 dogs that they studied, and of course all in the same area. So not every expert in the industry takes this research to heart, there are certainly more that needs to be done on the subject. But what it showed basically was that hip dysplasia occurred twice as often in these male Golden Retrievers that were neutered before the age of one. So again that early spaying or neutering there are some downsides there so you do want to want to talk with your vet about the best time, what would be a best time to spay or neuter your animal. Spaying and neutering also obviously it prevents any issues around pregnancy, you don't have to wonder if your female dog got out, could she be pregnant. There's no wondering if your male dog got out and suddenly somebody's dog in the neighborhood is pregnant, my gosh could those be his puppies? There's none of that stuff, you don't have any risks involved with pregnancy whatsoever. So there's a lot of pros. There are a few drawbacks and it's definitely again it's something to talk to your veterinarian about and make that informed decision. One of the biggest risks associated with spaying and neutering is it increases your dog's chances of obesity. It kind of it helps to calm them down which is a nice pro especially if you have a more hyperactive dog. What it does is it changes the balance of the hormones in your dog's system so it does help to calm them down, but with that and that loss of energy they also increase their chances of obesity. So to me it definitely is a disadvantage but it's not a deal breaker for me because obesity really comes with proper diet and exercise, so if you had a dog before that you could free feed her or him and they just ran around in your yard a few times a day and they were always healthy as far as their body weight, that's great. Spaying or neutering now you might not be able to free feed them, maybe you only feed them two meals a day in the morning and at night and you measure out their food, and instead of maybe just romping around the yard a couple of times a day you actually have to go for a walk or go down to the dog park and play for a little while or something like that. So it is certainly a disadvantage and I do understand that but at the same time it's something that can be easily fixed by just changing your behavior and the way that you care for your dog. Controlling the amount that you feed and adding in some exercise will cancel out that risk of obesity. As long as you're aware of that and you stay on top of it I don't see a lot of issues there but spaying or neutering does increase that risk. It also, like I said, it increases the risk of a few… a select few types of cancer, and there's some research on that, and it's different for females and males. So again, speak with your vet, that's the only thing that I can recommend, and they can explain to you. It seems to me that the pros outweigh the cons but it might not be, you might not feel the same way. One of the things that a lot of people don't like about having to spay or neuter a dog is that their dog has to undergo a major surgery. It is major surgery, your dog has to be put under anesthesia. Most of the time you can drop them off at the vet in the morning and pick them up in the afternoon if all goes well, they may have to spend the night at the vet's office. Some people don't like that, they don't like their dog having to go under anesthesia, that's not one hundred percent necessary; they don't like putting their dog's body through such a huge surgery. They do cut into your dog and there is a long healing process. I know when we've had our dog spayed in the past they've had to be leash walked for a week and we can only take them outside to use the bathroom. There's not really a lot of leeway as far as how much they can play, no climbing stairs, no jumping, things like that. So it is a bit of a recovery period and it's something that you need to take into consideration when you're thinking about that. But again, a quick conversation with your vet they can tell you exactly what to expect. Really as far as I'm concerned spaying or neutering is really the only way to help control the pet population, completely eliminate the risk of pregnancy in your dog or your dog getting another dog pregnant. Again, we have all female dogs so those heat cycles really cancelling those out is a huge pro for me. With male dogs there's benefits too, their testicles are removed so some people don't like that, they think it alters the appearance of the dog. For me I actually… I like the look of a male dog better without the testicles. So there's pros and cons, some of it is certainly a personal choice as far as like with the male dogs the aesthetic look of them after they've been altered is simply a personal preference. But speak with your vet, talk about some of those, the actual health concerns, the things that are really going to matter long term for your dog. It's likely that your vet is probably going to recommend spaying and neutering, most vets do. I've actually never spoken with a vet that doesn't. And again if you're going to breed your dog a lot of vets will recommend spaying or neutering after you're done breeding. So you know say you breed your female dog until she's five or six years old, once you're done and you're no longer going to breed her they recommend spaying right away. 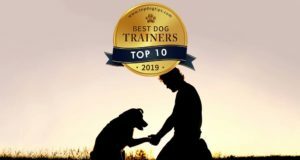 So it's something to discuss with your vet, it's something to do some research on and look into, there are certainly pros and cons to both sides.